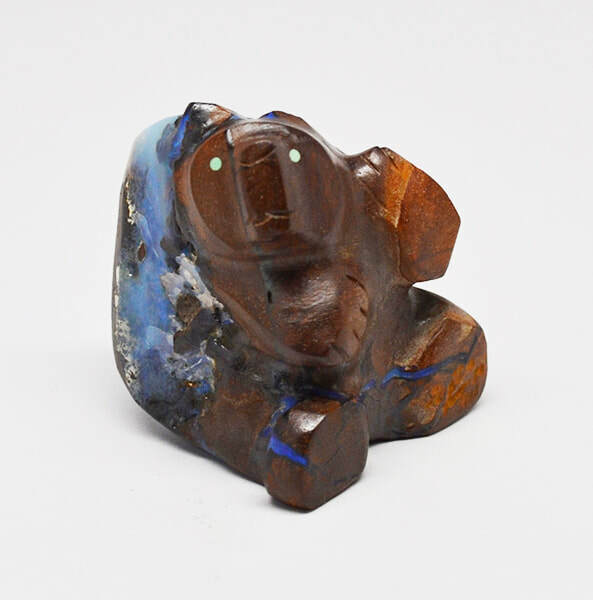 Dee Edaakie boulder opal bear fetish, 1 7/8” high by 1 7/8” wide, $600. 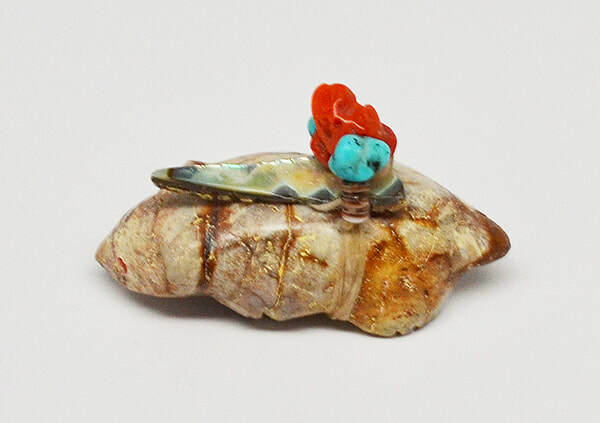 Stunning opal inclusions in this stone. 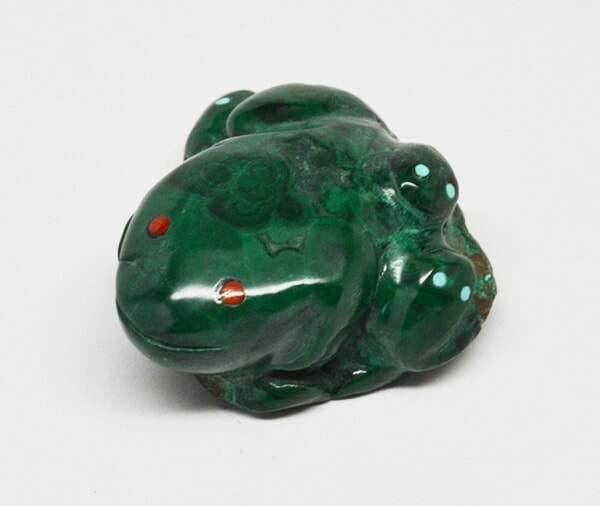 Lorandina Sheche serpentine double wolves fetish, 1 1/4” high by 3 3/4” long, $85. 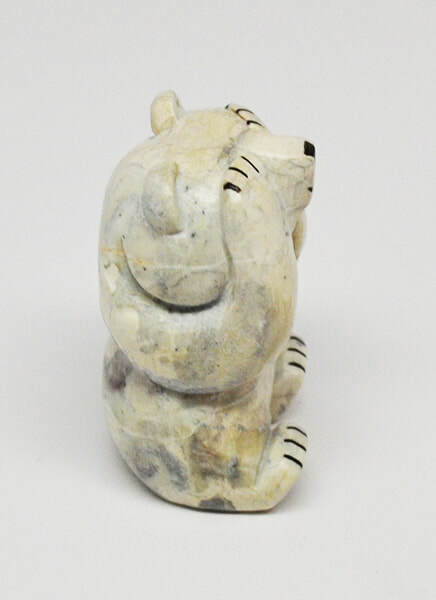 The perfect wedding gift of mated wolves. 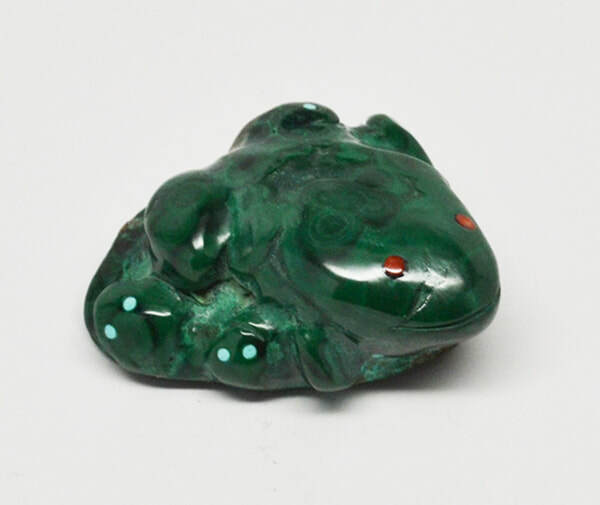 Dee Edaakie malachite frog family fetish, 7/8” high by 2” wide, $135. Lots of babies on this mama! 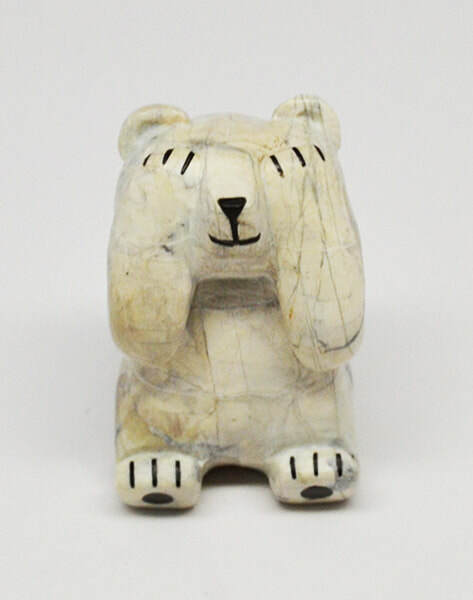 Corwin Yamutewa Picasso marble “see no evil” bear fetish, 2” high by 1 1/8” long, $112. 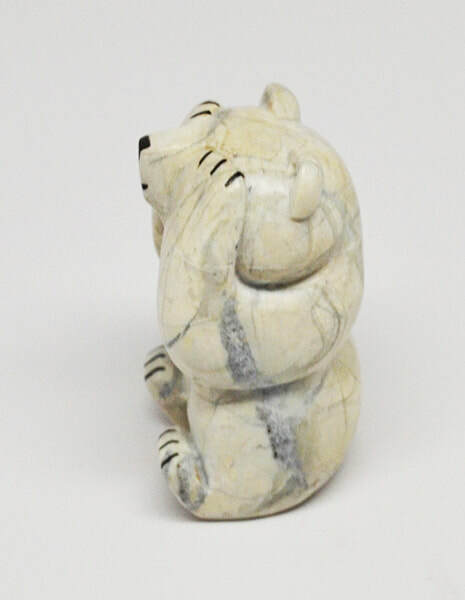 Corwin makes such creative bears. 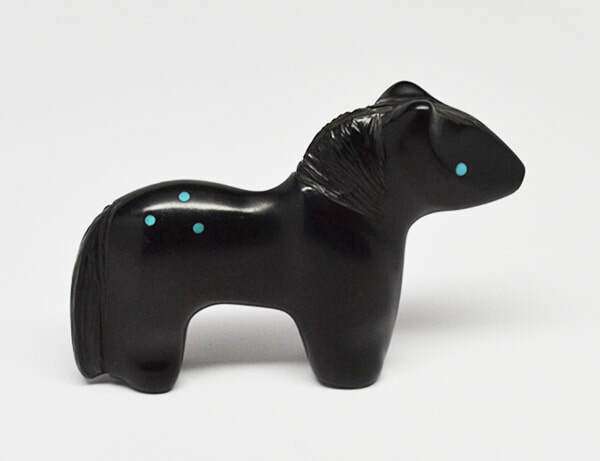 Herbert Halate jet horse fetish with turquoise spots, 2 3/8” high by 3 5/8” long, $56. Herbert does great jet work. 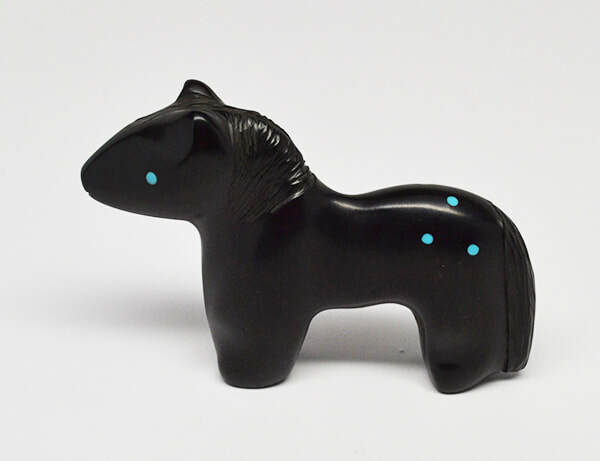 Lena Boone Royston seam turquoise badger fetish, 1 1/8” high by 1 3/4” long, $70. 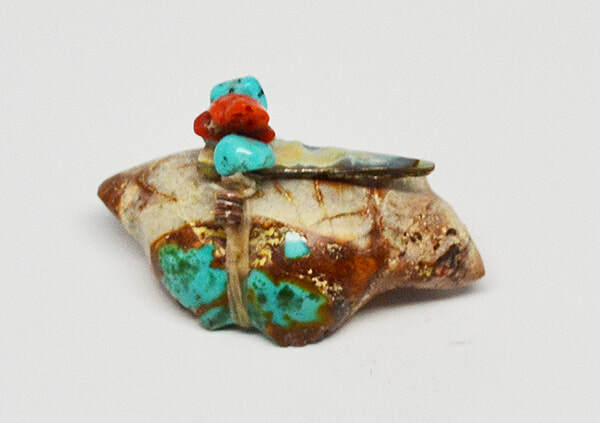 The host stone is rhyolite. 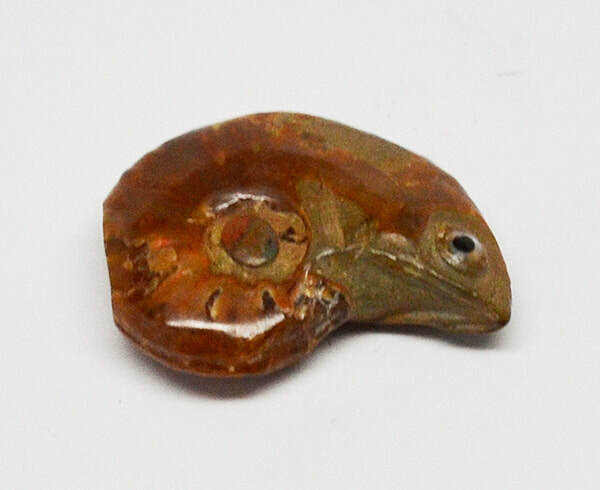 Ricky Laahty ammolite frog fetish with inlay Sonoran Sunrise dot, 1” high by 1 1/8” long, $148. 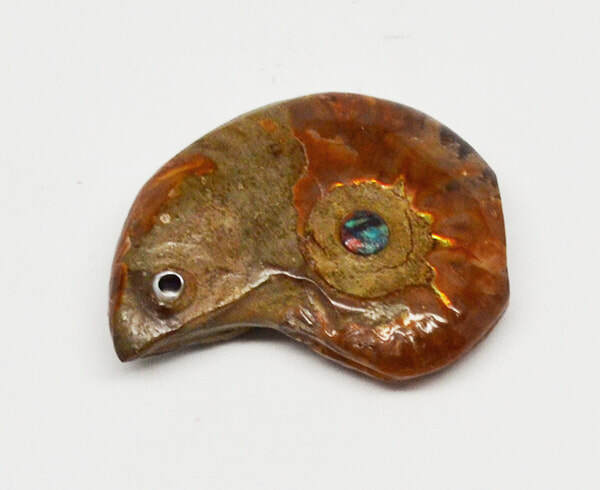 Ammolite is an opalized ammonite fossil only found in Blackfeet territory in Alberta. 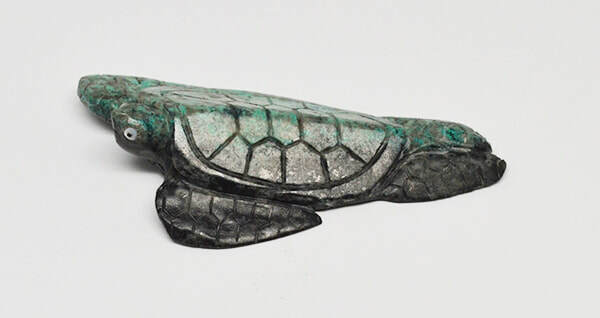 Ron Laahty chrysocolla turtle fetish, 7/8” high by 3 7/8” long, $400. 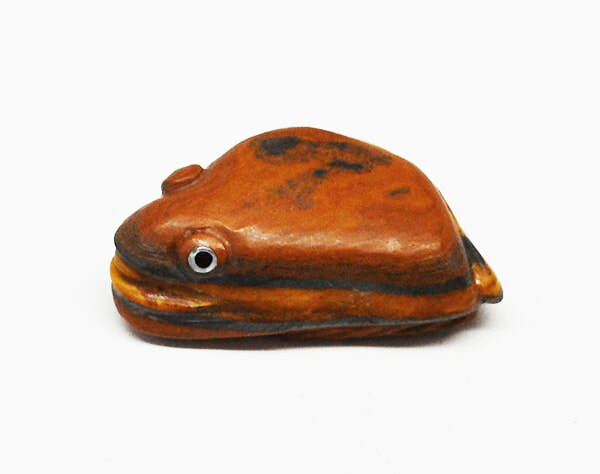 Ron is justifiably noted for his turtles. 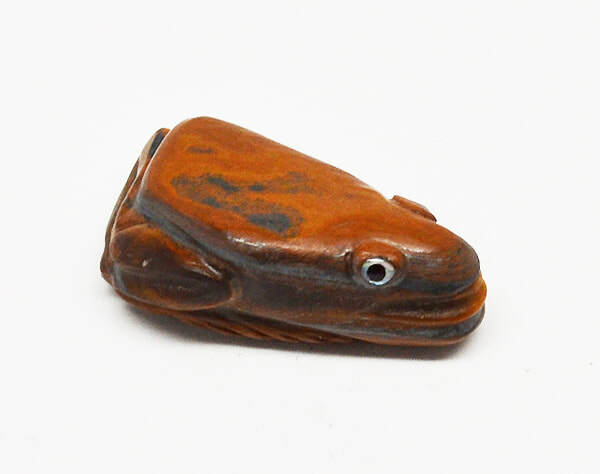 Ricky Laahty tiger’s eye frog fetish, 1/2” high by 1 3/4” long, $178. 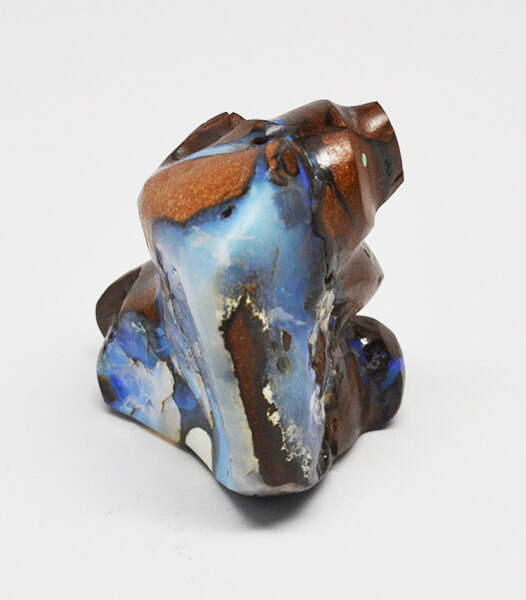 In a new twist, Ricky gave this stone a matte finish for a different look. 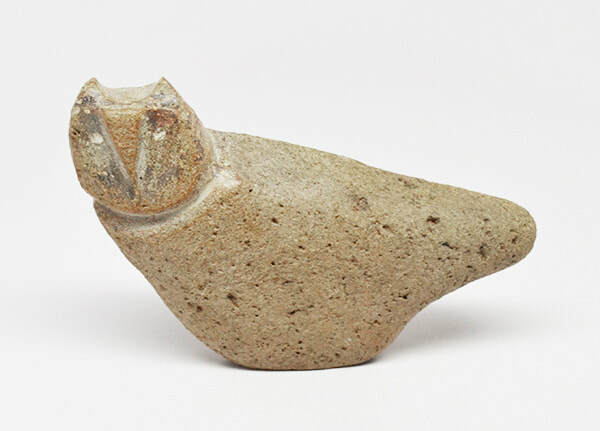 Salvador Romero natural stone owl, 2 3/4" high by 4 1/4" wide, $115. 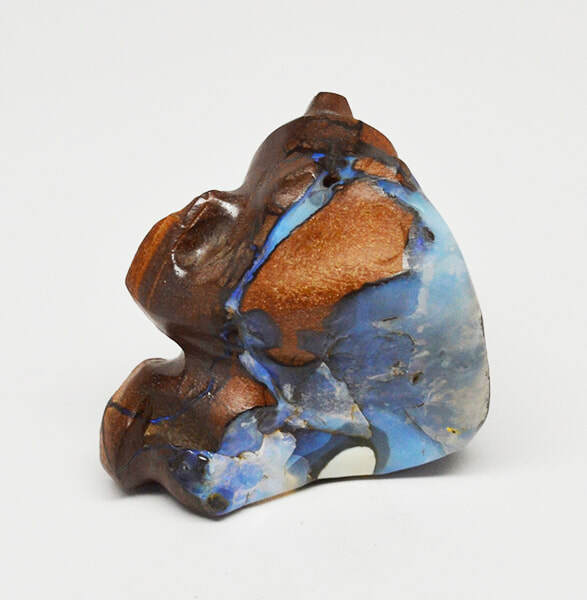 Salvador called this "natural" because the stone already had the shape, and he only enhanced the head. 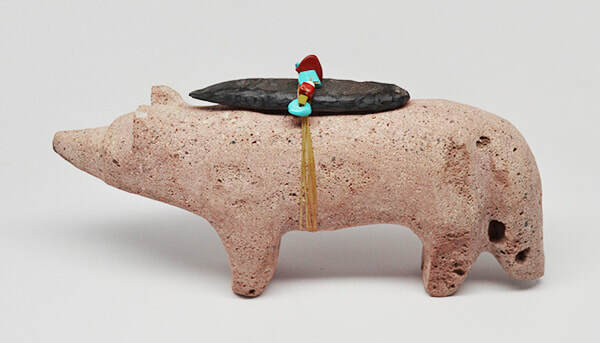 Salvador Romero found stone fox, 1 1/2" high by 5" wide, $110. Big, fluffy fox tail! 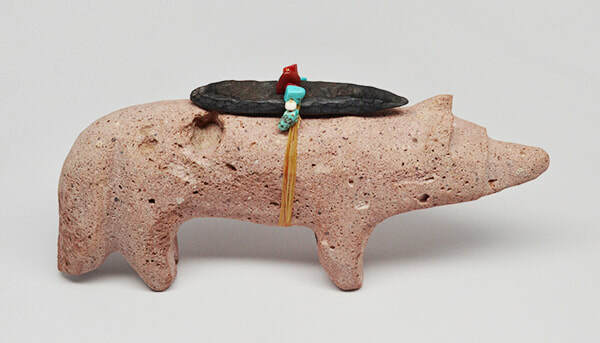 Salvador Romero found stone snake bowl, 3/4" high by 3 1/2" wide, $115. 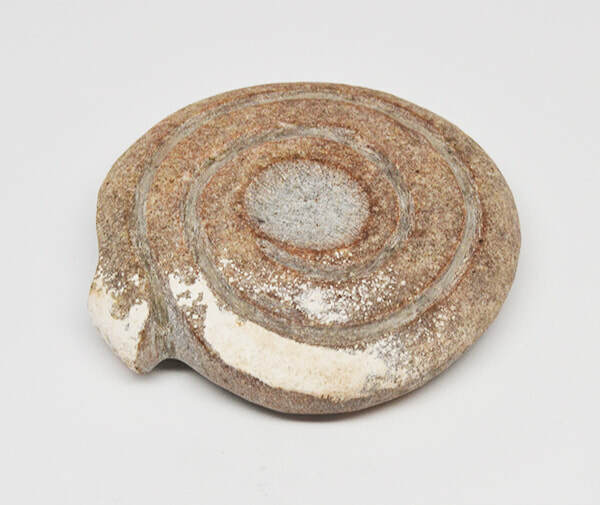 The natural white marking on the stone makes this a winter snake bowl. 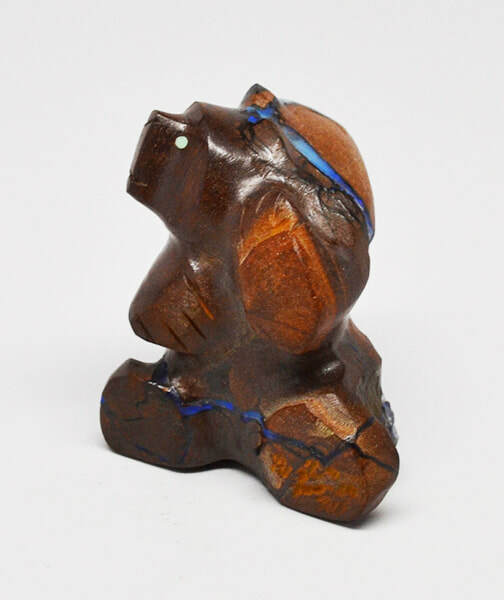 Salvador Romero large basalt wolf, 4 1/4" high by 8 1/2" wide, $200. 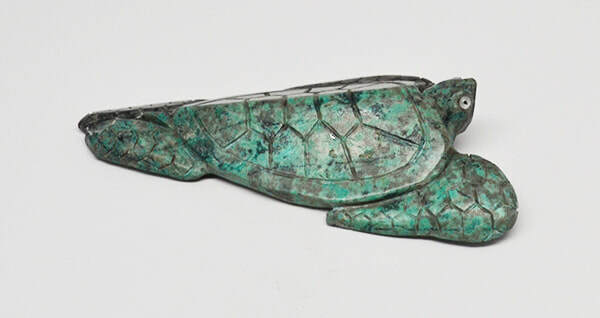 Salvador carved the slate point in the offering.